In the most recent sign of growing frustration between Washington and Pyongyang, North Korea criticized senior American officials for insisting that North Korea give up its nuclear weapons first. SEOUL: The rival Koreas plan to hold high-level talks on Monday to prepare for a third summit between their leaders, as Pyongyang called on the United States to reciprocate its "goodwill measures" by easing sanctions and stopping demands that the North denuclearise first. The plans by the Korean leaders to meet come as Washington and Pyongyang try to follow through on nuclear disarmament vows made at a US-North Korea summit in June between President Donald Trump and North Korean leader Kim Jong Un. In the most recent sign of growing frustration between Washington and Pyongyang, North Korea criticized senior American officials for insisting that North Korea give up its nuclear weapons first before easing sanctions. Notably, the statement didn't directly criticize Trump. North Korea said in a statement Thursday that "some high-level officials within the US administration" were making "desperate attempts at intensifying the international sanctions and pressure." "However, the US responded to our expectation by inciting international sanctions and pressure." Those American officials are "going against the intention of President Trump to advance the DPRK-US relations, who is expressing gratitude to our goodwill measures for implementing the DPRK-US joint statement," it said referring to the North by its official name, the Democratic People's Republic of Korea. Washington has said that sanctions will not be lifted until Pyongyang fully and finally dismantles its nuclear weapons. Some experts say that North Korea does not want to denuclearize first or maybe denuclearize at all because it wants a long, drawn-out process that sees external aid shipped in return for abandoning nuclear weapons. Pyongyang has also stepped up its calls for a formal end to the Korean War, which some analysts believe is meant to be the first step in the North's effort to eventually see all 28,500 US troops leave the Korean Peninsula. 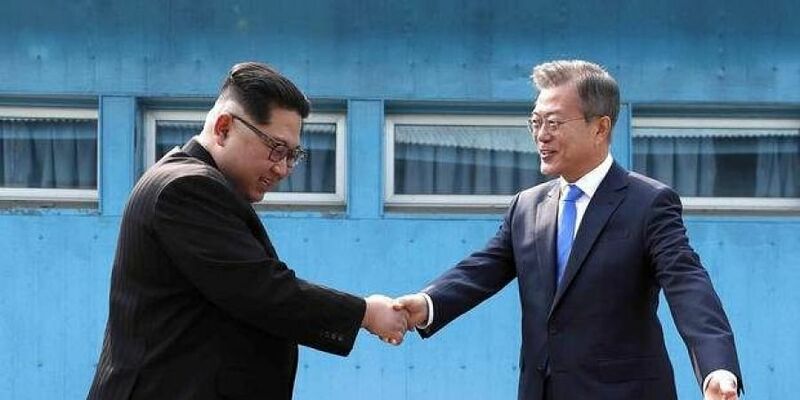 Among the agreements was holding another inter-Korean summit in the fall in Pyongyang. The rival Koreas may try to seek a breakthrough amid what experts see as little progress on nuclear disarmament between Pyongyang and Washington despite the Singapore summit in June and US Secretary of State Mike Pompeo's several visits to North Korea. Pyongyang insisted that the US should reciprocate to the North's suspension of missile launches and nuclear tests and other goodwill gestures such as the return of remains of American troops killed in the Korean War. The United States cancelled a joint war exercise with South Korea that was due to take place this month while dismissing calls to ease sanctions until the North delivers on its commitments to fully denuclearize. South Korea's unification minister will lead the delegation from Seoul but North Korea, which proposed the Monday meeting first, did not confirm the makeup of its delegation. South Korea's presidential spokesman said last month that Seoul wants a declaration of the end of the 1950-53 war sooner than later. The Korean Peninsula is still technically in a state of war because the fighting ended with a cease-fire, not a peace treaty.